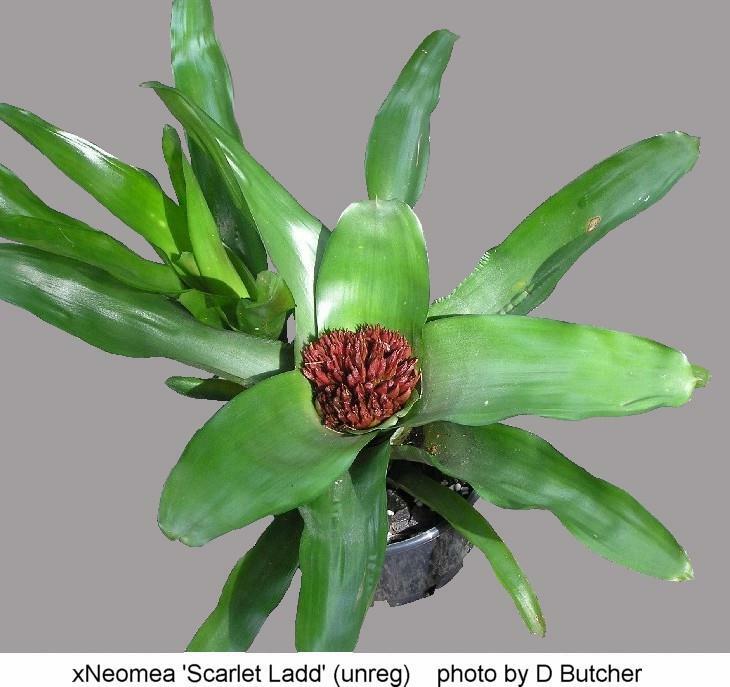 Intergeneric Neoregelia Scarlet Charlotte x Neoregelia Medusa (Deroose), by Allan Ladd. 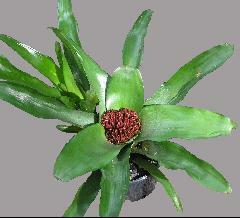 This plant has distinctly bigeneric traits, despite both parents being "Neoregelia". having some Aechmea skeletons in it's closet ! See "Detective Derek" article DD0809b for more details. See also xNeomea Mad Allan.